If you’re looking to go used, you can’t go wrong with one of these! 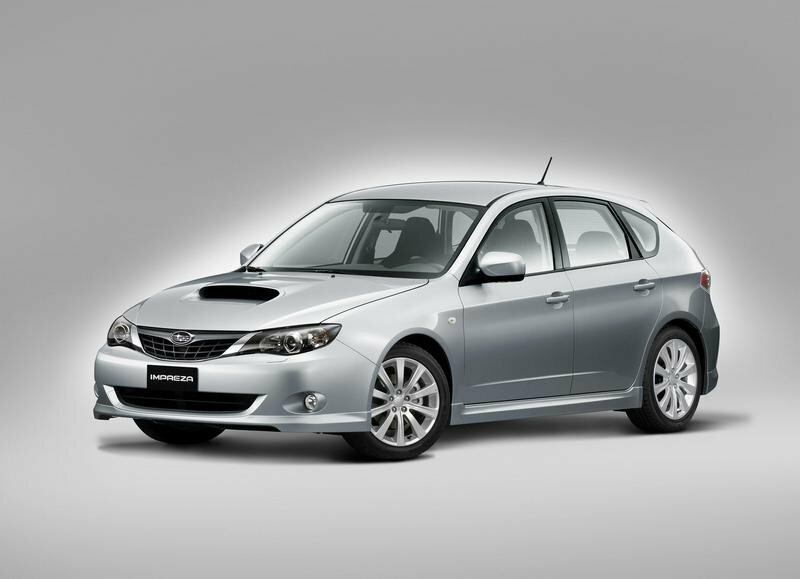 Subaru showed a revamped Forrester at the 2012 Guangzhou Motor Show and the 2013 New York Auto show, which was destined to replace the current model for the 2014 model year. Overall, the new model was 1.4-inches longer, 0.6-inches wider, and had an inch added to its wheelbase. On the outside, it got a new grille and revamped exterior lenses, and new hood, and revised fascias. On the inside, the new Forester saw increased rear legroom and more cargo space, as well as some new technology features that include smartphone connectivity, better navigation, and a small display inside the instrument cluster. 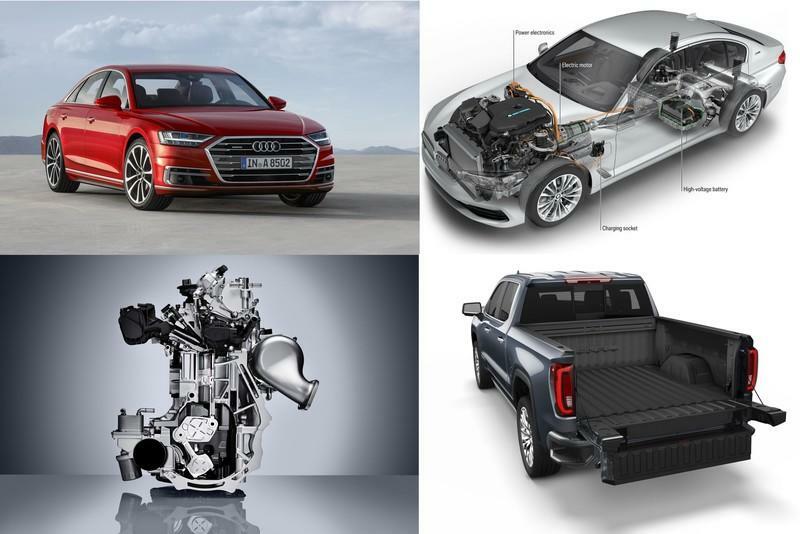 There were no real changes to the drivetrain to speak of, except for the new “X-Mode” all-wheel drive control system that is available as an option on higher trim levels. All told, the new generation was more like a facelift than a generational change, but Subaru made itself feel better by calling it the fourth generation model. Competing against models like the Honda CR-V and Ford Escape comes as quite the task when Subaru doesn’t do anything to increase power output and only offers up minor changes to the exterior. Furthermore, the Forester now comes with a CVT transmission and its maximum towing capacity was reduced to a laughable 1,500 pounds across all trim levels. It does feature a “sport-oriented” suspension and 18-inch wheels on higher trim levels, but that only goes so far. With that said, you can learn more about the new Forrester by reading our full review below. Click past the jump to read all of the details and find out. Is it the perfect weekend warrior? The Toyota RAV4 just marked its fifth generation for the 2019 model year, and now comes with a fresh Adventure grade designed specifically for light off-roading duty. 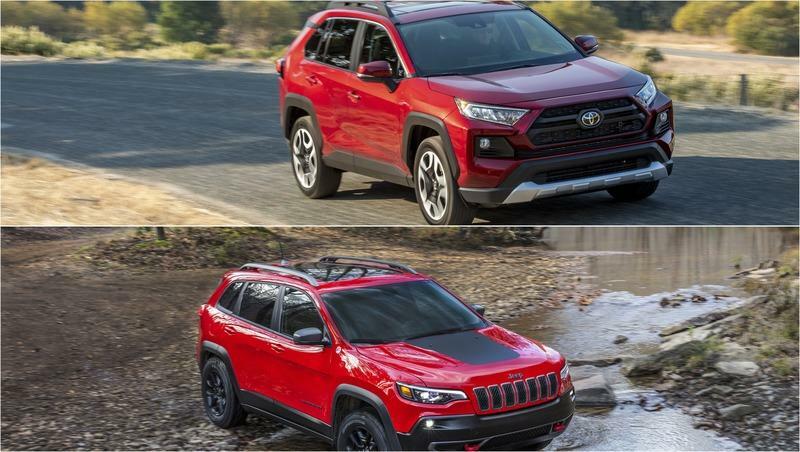 The question is - how does it fare against established competitors like the Jeep Cherokee and Subaru Forester? 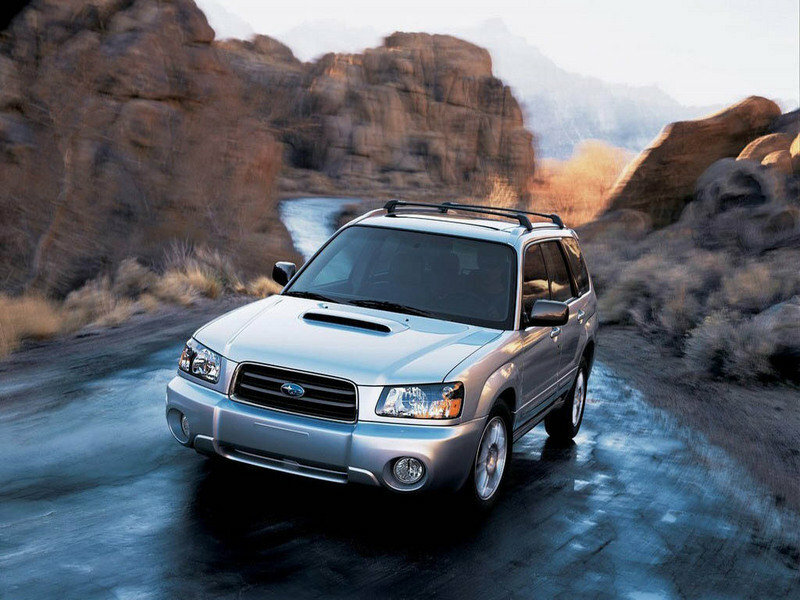 First hitting the scene in 1997, the Subaru Forester has seen a total of four generations come and go over the years. 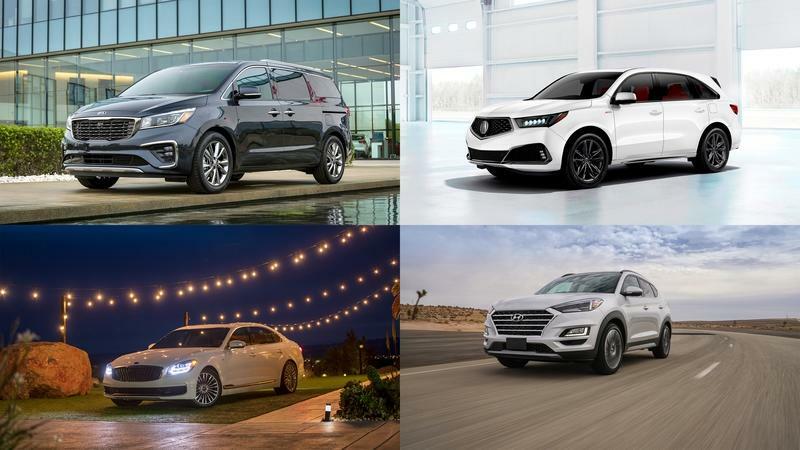 Now, there’s a new fifth generation for the compact crossover SUV making its big debut at the 2018 New York International Auto Show. Framed as the “roomiest, most capable and most versatile Forester ever made,” this latest five-door brings all the right stuff for those weekend getaways, not to mention fresh styling, loads and loads of space, a bit more power, and a fresh suite of safety tech to boot. 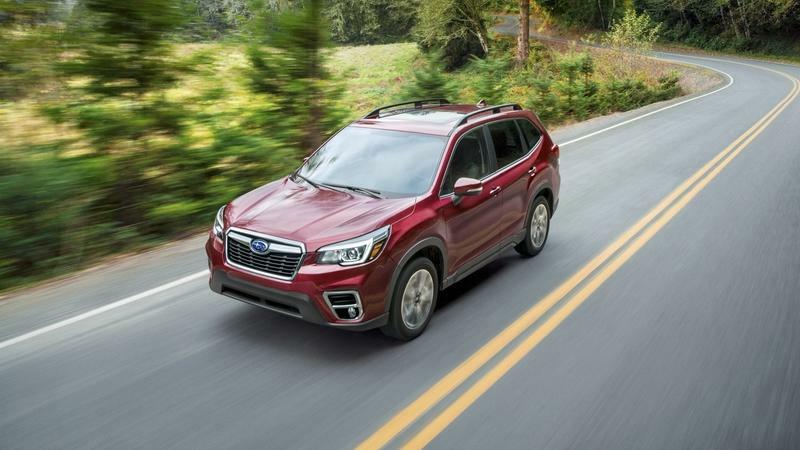 Continue reading to learn more about the 2019 Subaru Forester. First introduced in 1997, the Subaru Forester has seen a total of four generations come and go, with last SJ model arriving back in 2013. Now, Subaru is introducing a brand-new fifth generation at the 2018 New York International Auto Show, and it looks to offer customers a more comfortable cabin and a safer ride. Unfortunately, the Forester’s turbocharged variant, the XT, didn’t make the cut, and neither did the manual gearbox. Subaru has offered the Forester nameplate since 1997, with the latest fourth generation arriving in 2013. Now it’s looking like the Six Stars is gearing up for a new fifth-gen model, as previewed by a single shadowy teaser image ahead of a full reveal at the 2018 New York International Auto Show. Will the Six-Star brand put its third pedal to bed? In a bid to make its cars safer, Subaru will look to double down on its high-tech Eyesight suite of features. Unfortunately, that could mean the death of its manual transmission offering, which so far is not compatible with Eyesight. Subaru used the 2018 Chicago Auto Show to launch special 50th Anniversary Edition models for each of its vehicles as a celebration of the five decades the Japanese automaker has been selling inside the U.S. While no mechanical upgrades are made, there are several visual changes that help distinguish the 50th Anniversary Editions from their standard counterparts. These 50th Anniversary Editions are based on upper trim levels. For the 2018 Forrester, that means the Touring model – including both the 2.5-liter Boxer four-cylinder and the turbocharged 2.0-liter Boxer-four engine options. The Continuously Variable Transmission comes standard on the Touring trims, as does Subaru’s Symmetrical AWD system with X-Mode and Hill Descent Control. The Forester has truly come into its own in the last few years, receiving plenty of accolades and praise for its utilitarian personality and car-like refinement in this latest generation. Completely revised in 2014, the Forester gets a few updates for 2017 that make it even more a bargain to brag about. While the quirky little crossover isn’t fast, sporty, or particularly good-looking as some of its competition, it is outstandingly practical. A small $200 price hike over the 2016 model covers a multitude of added features, including a revised front grille, bumper, and new headlights. The EyeSight system also gets an upgrade to include Lane Keep Assist. Blind Spot Detection, Rear Cross Traffic Alert, and Reverse Automatic Braking are now standard. Lastly, the Forester 2.0XT Touring offers an available Active Torque Vectoring system. Everything else that made the 2014 Forester a success has carried over, including an unchanged pair of engines and transmissions. Base models get the 2.5-liter flat-four mated to a six-speed manual transmission. The combo is good for 170 horsepower and 174 pound-feet of torque. The CVT remains an optional extra. The more powerful option is the 2.0-liter turbocharged flat-four making 250 horsepower and 258 pound-feet. Unfortunately, upgrading to the turbo relegates the transmission choice to the CVT. Trim levels for the 2.5-liter still include 2.5i, Premium, Limited, and Touring, while the more-upscale 2.0-liter turbo is only adorned with the Premium and Touring trims. In all, the Forester is an honest crossover that works well. For some, it just takes getting past what looks to be a bland cover to find a multifaceted vehicle well positioned to tackle nearly any task the average American brood can throw at it. Update: Subaru has announced pricing for the 2018 Subaru Forester. As with the year before, prices increased marginally across the board. Check the prices section below for details. Subaru has shown a history of eschewing the commercial vortex that is the Super Bowl in favor of its infinitely more adorable alter ego, the Puppy Bowl. So for the sixth straight year, Subaru will serve as the official auto sponsor of Puppy Bowl XII, which will be held on the same day as Super Bowl 50 (February 7, 2016) on the Animal Channel. 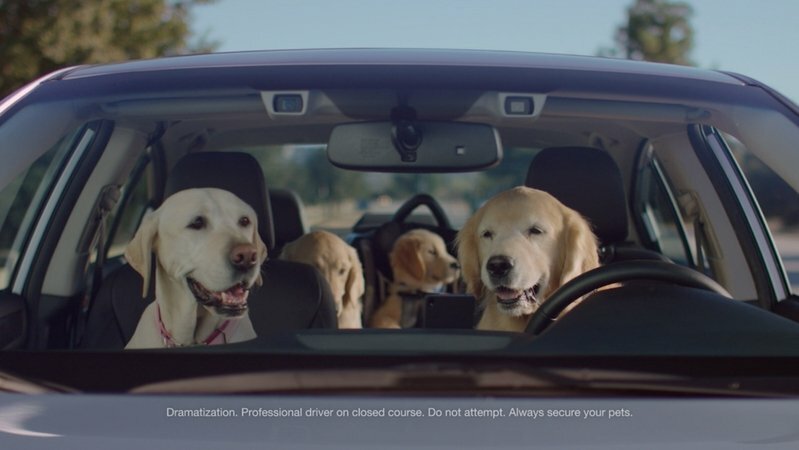 This year, the Japanese automaker will air five commercials as part of its new "Dog Tested. Dog Approved." campaign. The ads revolve around the exploits of a family of Labradors and Golden Retrievers, collectively known as the Barkleys. Much like their human counterparts, the Barkleys will deal with the nuances of family life, including trying to put the kiddos to sleep, dealing with rough trips to the salon, and coping with other canine drivers. In the process, the commercials touch on why the company has established itself as the brand of choice for car owners who have pets. Subaru has always been proud of carrying that pet-friendly label to its name and these ads, coupled with its continuing presence in the Puppy Bowl, shows how far the company will go to show viewers how in touch it is with the importance of being recognized for its love of the domesticated animal world. All five commercials can now be viewed in their entirety. You can check them out here or visit Subaru of America’s official YouTube channel. Nowadays, it seems like everyone is doing a crossover, but it should be noted that Subaru was one of the first. 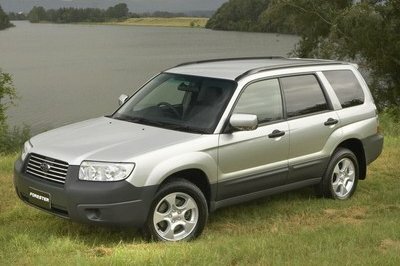 The Forester was first introduced to the Japanese market in 1997, and a U.S. version emerged hot on its heels only a year later. The advertising theme was simple: “SUV tough, car easy." It’s a formula that’s widely copied: take a vehicle that has car-like handling and road presence and endow it with the spacious interior and high stance of an SUV. It’s an idea that had such wide appeal, the Forester has been going strong ever since. Now, with an explosion of new crossovers entering the segment, it can be tricky to stay above the fold, even for an original like the Forester. One route that Subaru is familiar treading would be a double down on the vehicle’s “carness” with a high-performance version. Considering the ease with which Subaru can mix and match parts amongst its lineup, the most obvious strategy is to pilfer go-faster bits from its road-legal rally monster WRX STI. Following teaser pictures that emerged online last month, Subaru has made the official announcement that it’s indeed set to do exactly that. We’ve seen high-performance Foresters before, and for the most part, they aren’t half bad. But with so many different crossovers to choose from, how will this latest version shape up? 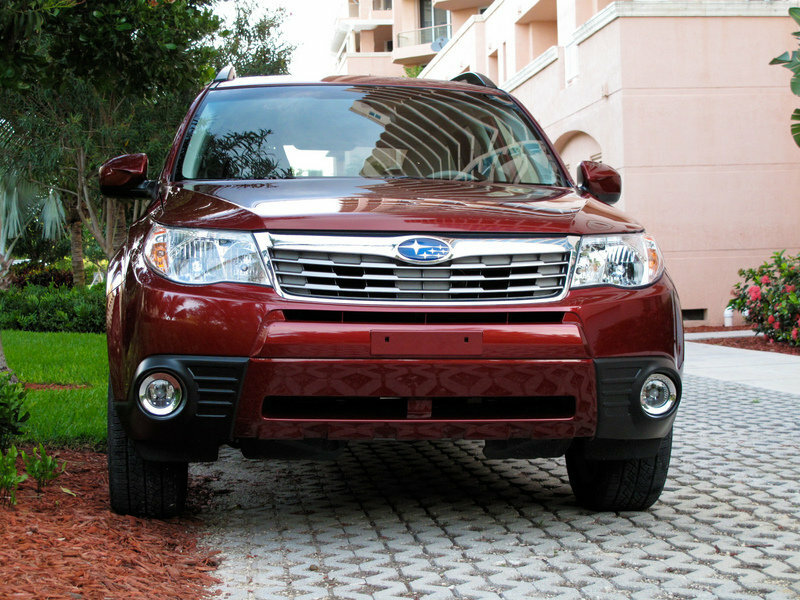 Click past the jump to read more about the Subaru Forester tS. The tall, boxy features of the Forester, which made its U.S. debut in 1999, may not make it the best looking crossover to grace the pages of TopSpeed, but we can’t deny its utilitarianism. Tons of space for storage, all-wheel-drive grip, and a car-like personality combine to make it an ideal choice for someone looking for a vehicle that can do it all. The only real drawback is a lack of power. Luckily, for a brand with roots in the World Rally Championship, this isn’t a difficult problem to fix, as Subaru will unveil an STI version of the Forester later next month. To get us excited, pictures have emerged showcasing a big-brake and wheel package, an upgraded body kit, and plenty of go-fast badges. 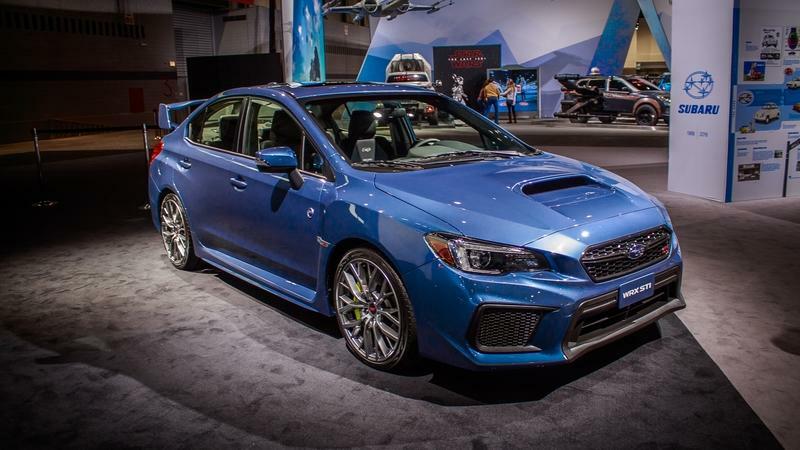 The details are hazy, but given the lego-like nature with which Subarus are put together, you can safely bet that motive power will be derived from the same 305-horsepower, flat-four powerplant and six-speed manual transmission found in the current-generation STI. According to TorqueNews.com, steering and suspension components have been reworked to provide the right balance between comfort and performance. Click past the jump to read more about the Subaru Forester STI. 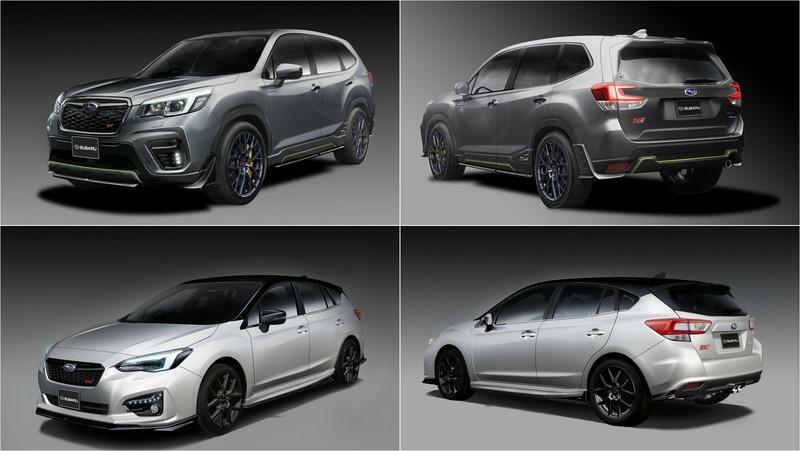 Alongside the BRZ Premium Sport Package concept, Subaru will also unveil the Forester Sport Concept at the 2013 Tokyo Auto Salon. This vehicle has been specially designed for highway driving and city cruising, and has been customized as an "On-road super SUV". The new Forester Sport Concept is powered by a Direct Injection Turbo (DIT) engine specially developed for tackling pavement. Along with the special engine, this concept comes with distinctive styling. Its aero package includes a specially designed front grille, a new STI front under spoiler, an STI sport muffler, a side under spoiler, an STI flexible tower bar and an STI rear under spoiler. In order to improve the SUV’s handing capabilities, Subaru installed a new Bilstein suspension and a set of BBS-designed 20-inch aluminum wheels. A set of Brembo brakes and drilled rotors help drag this SUV to a stop. For the interior, the only updates announced for now include new front and rear red-colored leather seats. 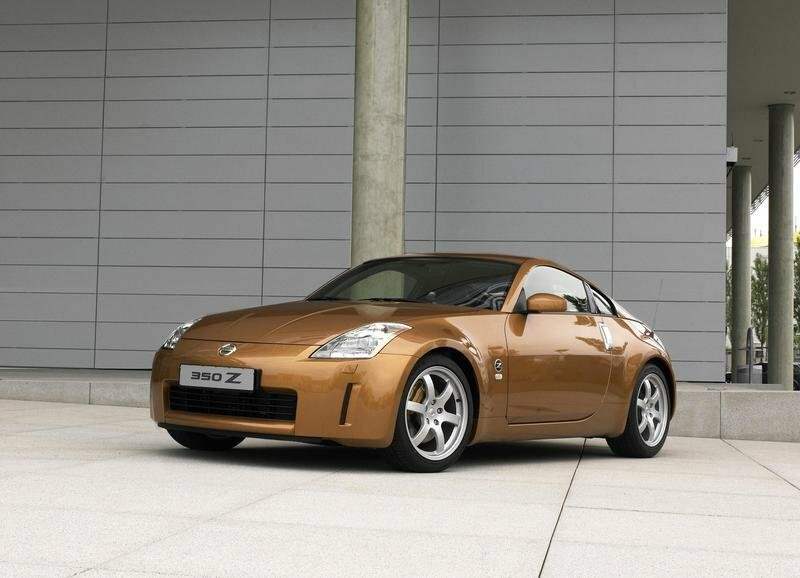 Full details will be announced during the car’s official debut at the 2013 Tokyo Auto Salon. We all know and mostly love the WRX STI that Subaru pumps out each year. The latest model produces a stout 305 horsepower and 290 pound feet of torque through Subaru’s famed AWD system, all for a relative bargain of $34,000. Unfortunately, the STI nameplate has never extended beyond the WRX lineup. That may become a thing of the past, as Subaru debuted its Forester TS, which is tuned by STI to pump out 259 horsepower and 256 pound-feet of torque from its 2.5-liter 4-banger, to its newest market – Russia. What in the world does an STI-tuned Forester in Russia have to do with more STI models in other countries? Well, according to a report by Autocar, this is simply a test market. 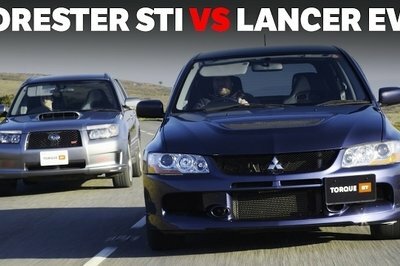 This test will gauge the demand of an STI-tuned car, besides the WRX, in a market other than Japan. 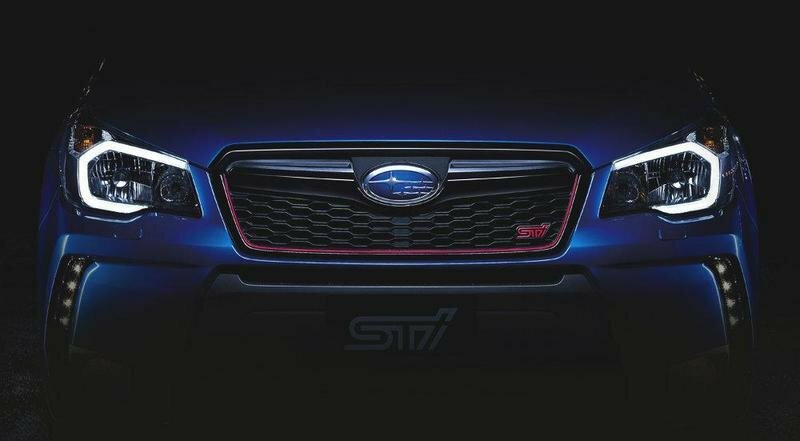 A Subaru insider was quoted as saying “It’s clear that STI’s abilities and experience could work on other cars in other markets,” and “Confining them to WRX projects doesn’t make sense when the demand is there.” This would lead us to believe that if the Russian Forester TS succeeds, then Subaru would be start expanding its STI lineup in other markets, like the U.S.
All we can hope for it that the Forester TS takes hold in Russia and Subaru decides to expand the STI lineup in the U.S. to the Subaru BRZ. We know that’s beating a dead horse, but this insider info really shows that this is becoming more of a possibility. This also points to the possibility of a turbocharged Forester STI coming to the U.S., which could give Subaru some much needed help fending off the turbocharged 2013 Ford Escape. 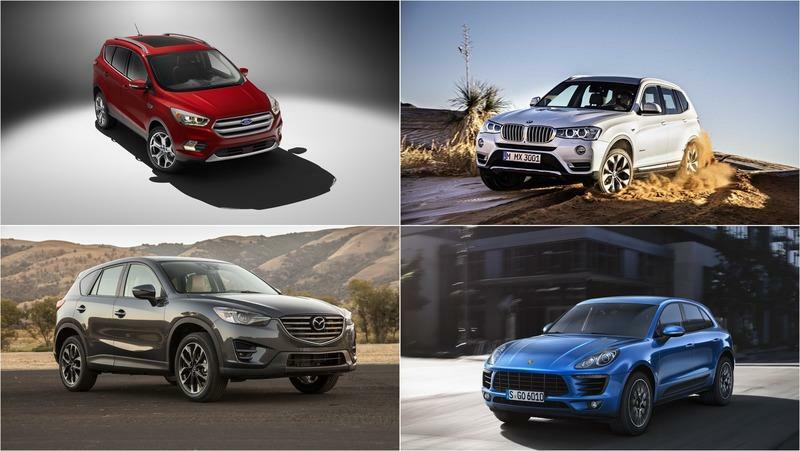 Who knows, we may just run into a performance crossover SUV war soon. Hmm, that’s kind of scary... We guess little Billy and Sara would always make it to soccer practice on time. Subaru has just released the official details on the new 2011 Forester. The Japanese automaker has placed a 2.5-liter boxer four-cylinder motor in the vehicle’s engine compartment. There will also be a turbocharged 2.5-liter four-cylinder in the performance oriented XT. While we’re on the XT topic, Subaru has announced that the XT will be available in two trim levels, the Premium and the Touring. The Touring trim, which will replace the Limited at the top of the line, will offer buyers self-adjusting HID headlights, dual-zone climate controls, and a backup camera. If you can’t afford the top of the line Touring model don’t fret, as Subaru has equipped the basic models with more goodies than every before. The Forester will come standard with Bluetooth and a one-touch up/down driver’s window. Bump it up to the 2.5X Premium and the 2.5XT Premium and you will get a new audio system with six speakers, a USB and AUX jacks, iPod integration, and Satellite radio capability. Hit the jump for the full list of specifications. 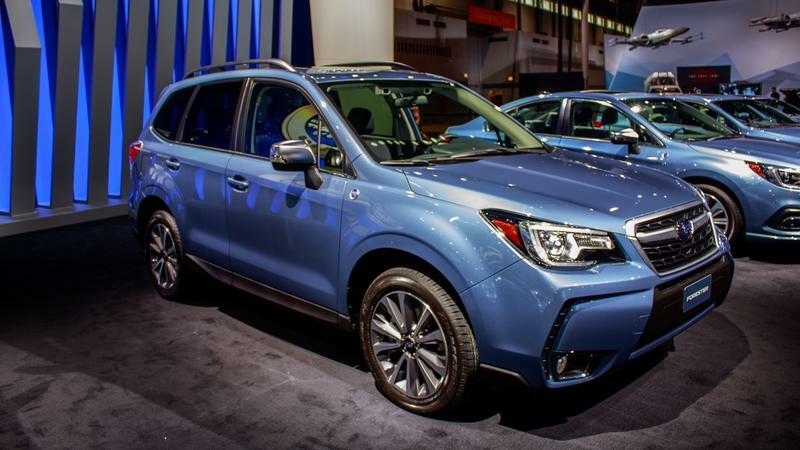 Here’s another cool special edition Subaru Forester that will not be offered on the US market! 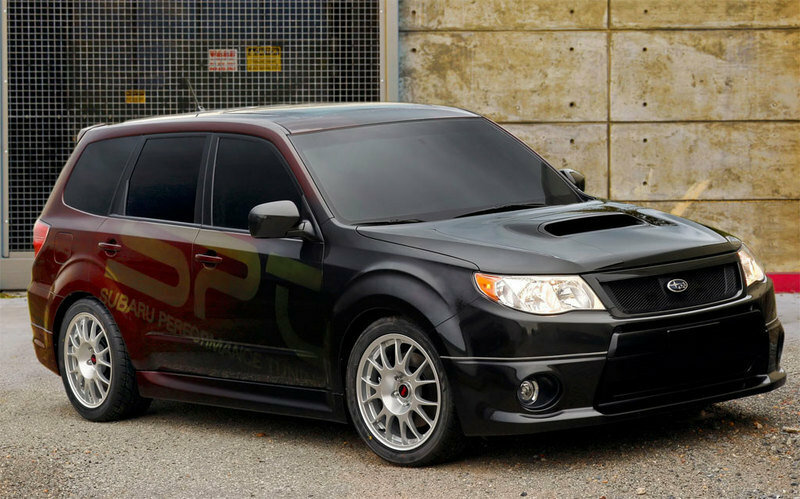 It’s called the Forester tS and will come with lots of STI components and upgrades that offer an improved driving dynamic. It will be limited to only 300 units and deliveries in Japan will begin in 2011. 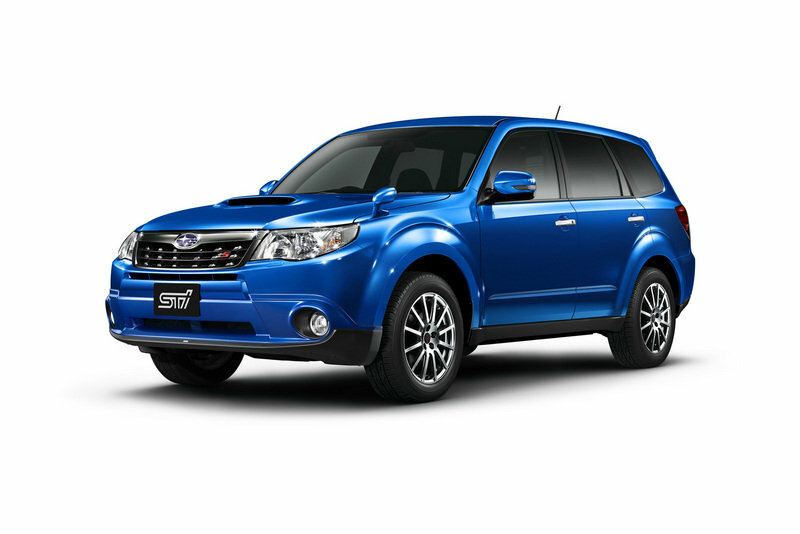 The new Forester tS is powered by a 2.5-liter turbocharged boxer 4-cylinder with 263 HP and 347 NM of torque. The engine will be mated to a new 5-speed automatic transmission. This special edition will hit a top speed of 150 mph. It will be distinguished by STI suspensions with sport springs and shock absorbers, STi seats, aluminum pedals, steering wheel with paddle shifters, and a big red push-button ignition. The new edition will be offered in only four exterior colors: Obsidian Black, Pearl White, Stylish Silver, and WR Blue Mica. Why do all of the good cars stay outside of the U.S.? Hey automakers, we would like to drive cool cars too! 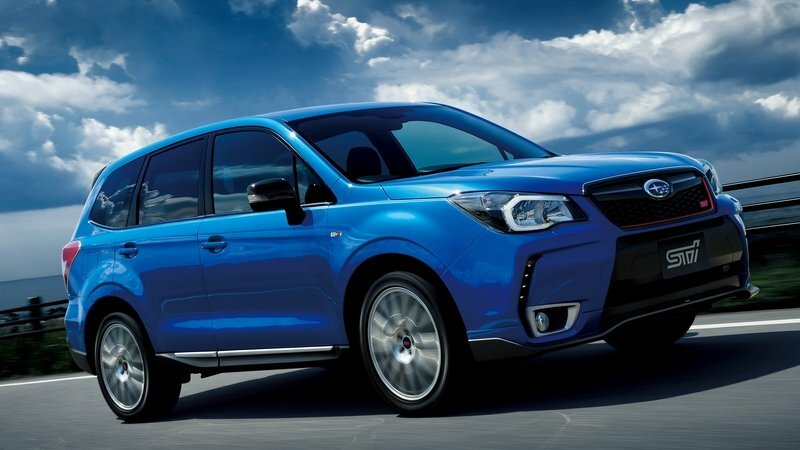 If you’re wondering what the next generation Subaru Forester will look like, check out the Forester S-Edition Concept unveiled today at the Australian International Motor Show in Sydney. The concept is based on the Forester XT, but the 2.5 liter turbocharged engine has been tuned to deliver 258 HP. The concept also gets paddleshift five-speed automatic gearbox, revised sports suspension, variable torque distribution (VTD) All-Wheel drive, exclusive styling accents, STI 17-inch high luster alloy wheels, Alcantara seat trim with S-Edition logos, drilled alloy pedals, and luminescent instruments with a center design unique to the model. 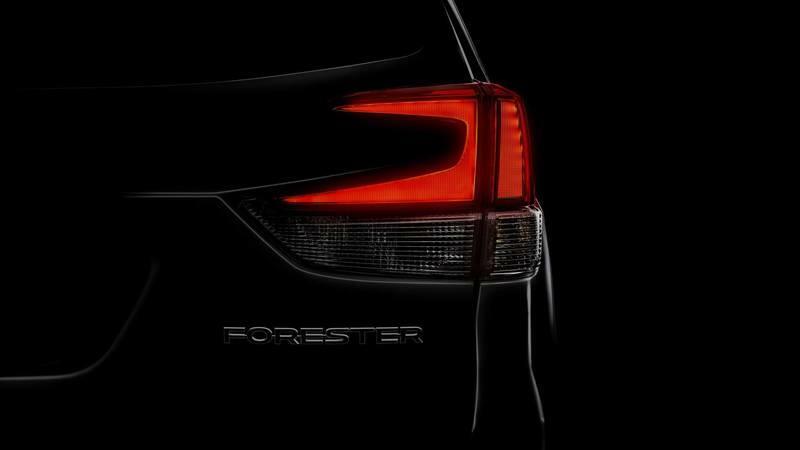 "It points towards an exciting development in our Forester range early next year. Forester is firmly established as Australia’s best selling compact sports utility vehicle, with the most recent addition to the range being the diesel variants that are proving a sales winner for our All-Wheel Drive brand. There’s no denying Forester’s appeal to Australians in both urban and rural environments, so we think this concept will only add to the huge interest," said Nick Senior, Managing Director, Subaru Australia. 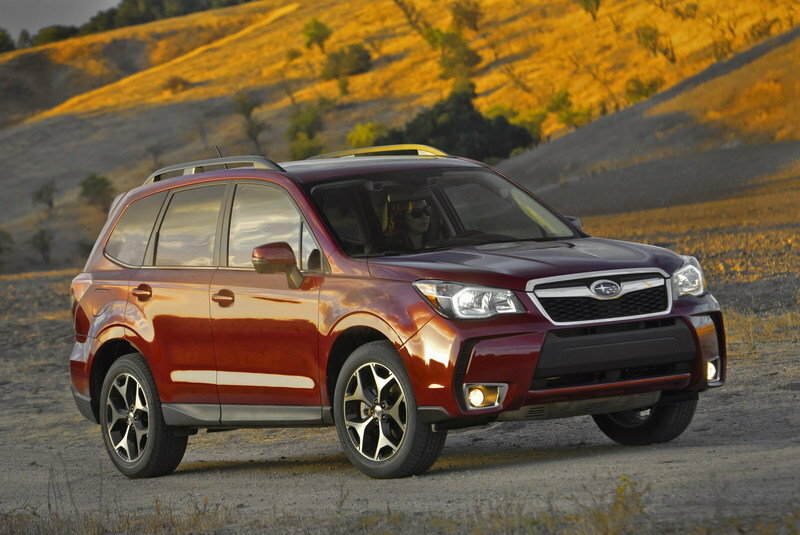 Subaru has announced a long list of updates for the 2011Forester SUV. The list of improvements starts with a new engine for the 2.5X models. They get a new 2,498 cc engine delivering 170 HP and 174 lb.-ft. at 4,100 rpm. This engine delivers 21 mpg city / 27 mpg highway. Also, depending on the model, Subaru is offering new standard audio system, iPod control capability, USB port and Sirius Satellite Radio capability, a new TomTom Navigation System for the 2.5X Premium that includes removable 4.3-inch touch-screen portable navigation device, Bluetooth, Sirius Satellite Radio capability, new 17-inch alloy wheel, and new body-color roof spoiler on 2.5XT models. 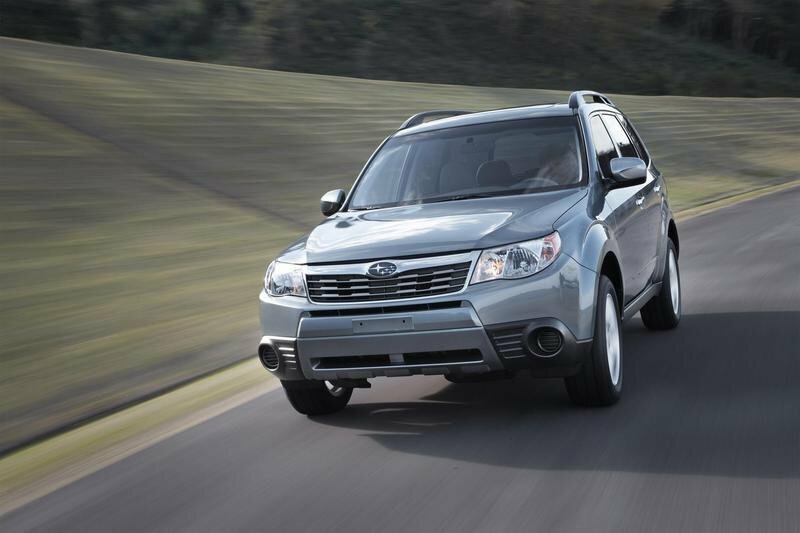 Updated 09/24/2010: Subaru today announced prices for the 2011 Forester. The 2.5X manual version is priced at $20,495 and the automatic version at $21,695. The 2.5X Premium manual version is priced at $23,195 and the automatic version at $24,195. The 2.5X Limited is only offered in an automatic version and is priced at $26,495. The 2.5X Touring is priced at $27,995; the 2.5XT Premium at $26,995 and the 2.5XT Touring at $29,995. Subaru is upgrading their lineup with an all new Legacy for 2010, and while we enjoyed driving the larger sedan, we have to admit that the 2010 Subaru Forester 2.5X Limited we recently test drove offered a similar experience to the old four door wagon alternative, and that is certainly not a bad thing. Like all Subarus our Forester came from the factory with symmetrical all wheel drive so it can go anywhere, because it is a Forester the cabin is quite roomy and thanks to the boxy layout there is plenty of storage space for whatever adventure you can dream up. Our 2010 Subaru Forester had fun written all over it from the tall stance to the oversized fog lights, moon roof and bold 17 inch rims that looked strong and sturdy enough thanks to their thick spokes to get the Forester anywhere you can imagine. The car’s 2.5 Liter Boxer engine makes 170 HP and thanks to Subaru’s SPORTSHIFT four speed automatic is about as much fun as you can have while getting as much as 26 MPG on the highway in a Low Emissions Vehicle with anything from your band’s equipment to your children’s soccer gear in the trunk. Not only was the outside of our Subaru Forester 2.5 Limited energetic, the interior was well adorned with leather wrapped surfaces, a large LCD navigation display that only added to the appeal of the spacious cabin. Our Forester also came standard with a host of safety features like six air bags, ABS, VDC, four wheel disk brakes, a reinforced chassis developed by the WRC championship winning automaker and a whole bunch of five star safety ratings to back it up. We recently received an all new 2010 Subaru Forester 2.5X Limited into the Top Speed test fleet. Our Camellia Red Pearl small SUV was completely redesigned back in 2008 and from what we can see, the improvements keep on coming into 2010. Like all Subarus, the Forester comes from the factory with all wheel drive, the cabin is quite roomy thanks to the boxy design and there is plenty of storage space in the back. The new touch screen navigation unit has Bluetooth built in and the infotainment system is made up of an AM/FM/XM radio with an in dash CD player and auxiliary audio and video inputs thanks to the popular Option package number 10, which for an extra $1,800 over the $25,995 MSRP gives you all those electronic goodies. The interior of our brand new Subaru is upholstered in grey leather, covering everything from the seats to the steering wheel. The design team has incorporated the same metallic swatches into the dash of the Forester that we liked so much on the Impreza. We like the climate controls; three straight forward knobs control everything as opposed to a host of buttons and LCD displays. Our 2.5X also had power door locks and a one touch driver’s window that add a bit of convenience to the package. However the best part of the Forester’s interior is the ridiculously oversized panoramic sunroof, it is so large that the amount of light allowed inside rivals that of a convertible. 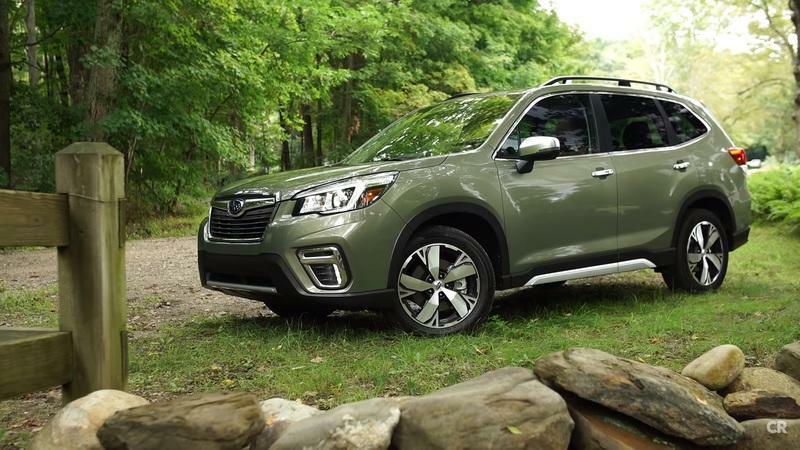 Just like the name suggests, our Forester is powered by a 2.5 Liter flat four engine cranking out 175 HP and still gets 20 MPG in the city and 26 MPG on the highway. Our Subaru rode on a set of 17 inch rims that looked extremely strong and sturdy thanks to their thick spokes while the raised body makes the Forester look like it can go anywhere. Thanks to safety features like a host of air bags, ABS, disk brakes, a Subaru designed chassis and a whole bunch of top notch safety ratings is making us look forward to getting behind the wheel. I feel like a Subaru salesman, just like the Japanese automaker announced the pricing of both their four door sedan, and compact crossover, the subsidiary of Fuji Heavy Industries is letting the world know the pricing for their classic two box shaped SUV the 2010 Forester. 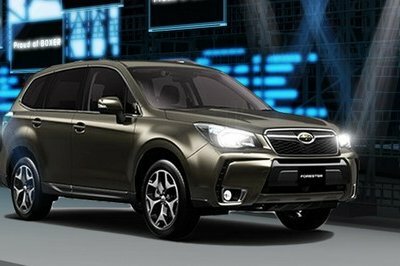 The Forester will be offered with both a 2.5 Liter naturally aspirated engine as the 2.5X, 2.5X Premium and 2.5X Limited. There will also be a turbocharged flat-four with the same displacement, the 2.5XT. The boosted box car only comes in Premium or Limited trim levels. 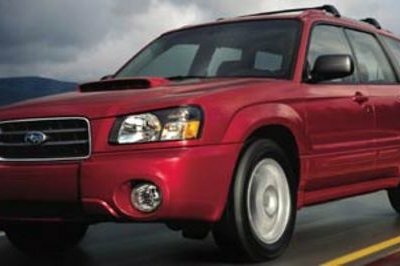 Pricing will start at $20,295 for the Forester 2.5X and goes up to $28,495 for the top of the line 2.5XT Limited. Subaru will present at the SEMA Show the Forester XTI, a concept based on the Forester 2.5XT, while adding elements from the Impreza WRX STI. 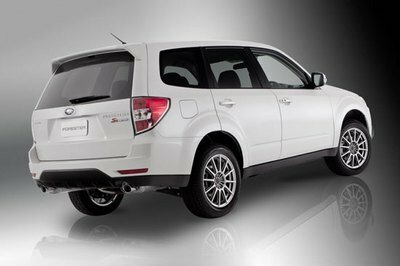 The Forester XTI starts with the same drivetrain as the Impreza WRX STI, and then a stainless steel cat-back exhaust system from the Subaru Performance Tuning raises the output to 315 hp (up from 305) and 300 lb.-ft. of torque. The engine is mated to a close-ratio 6-speed manual transmission. The XTI Concept is fitted with 18 x 8-in. S204 forged alloy wheels, adjustable coil-over suspension, Brembo brakes, 4-piston front calipers, 2-piston rear calipers, Super Sport ABS and Electronic Brake-force Distribution. Although there are a lot of extra add-ons to this car, we may be looking at something that is ready for production. After all, the Forester XT already uses the engine from the standard WRX, and the Forester and Impreza share so many major components (like the platform) that most WRX STI parts could easily fit in the Forester. Subaru will unveil at the Paris Auto Show the Forester and Impreza models equipped with Subaru Boxer Diesel. Both models will go on sale in Europe after this autumn. 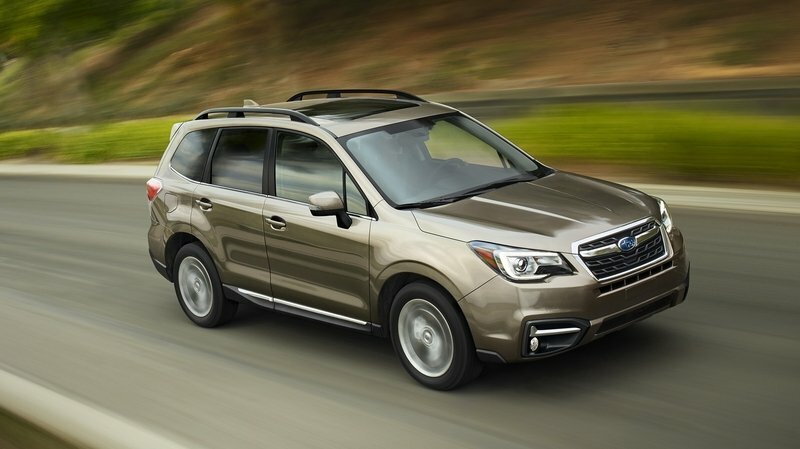 The Forester is a crossover SUV that not only offers safe and stable driving performance that is enhanced by Subaru’s unique Symmetrical AWD (all-wheel-drive) system, but it also excels in environmental friendliness. The Forester 2.0D model boasts the lowest CO2 emission level (167 g/km) in the compact SUV category. The Impreza incorporates three core Subaru values: sophisticated styling; useful and convenient packaging; and a quality ride. 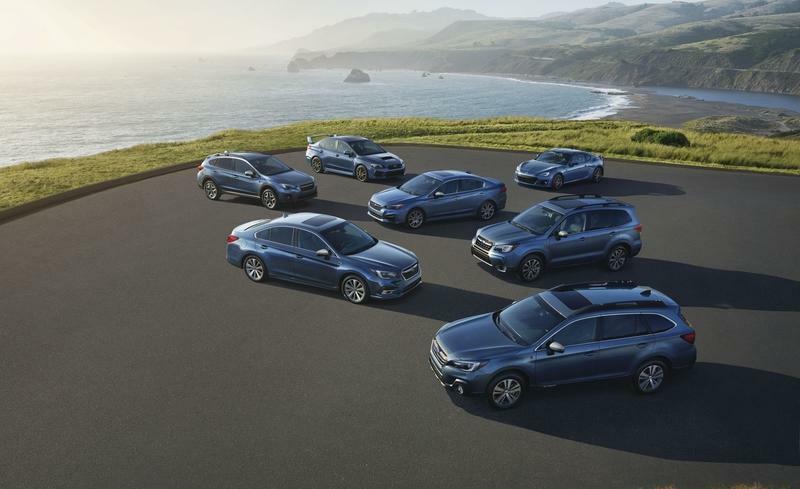 Now with the addition of the Subaru Boxer Diesel, the six-speed manual transmission, and a finely tuned suspension, the 5-door hatchback Impreza 2.0D model offers agile and sporty drivability, comfort and advanced safety, along with environmental features. 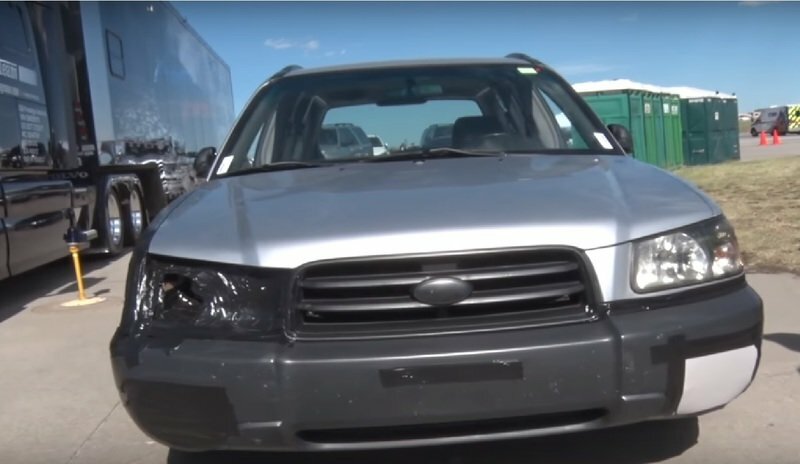 Subaru today announced that the 2009 Subaru Forester earned the highest rating in the U.S. Department of Transportation’s National Highway Traffic Safety Administration (NHTSA) New Car Assessment Program (NCAP) crash tests. The Subaru Forester received five stars in both the frontal and side-impact crash tests for all seating positions. 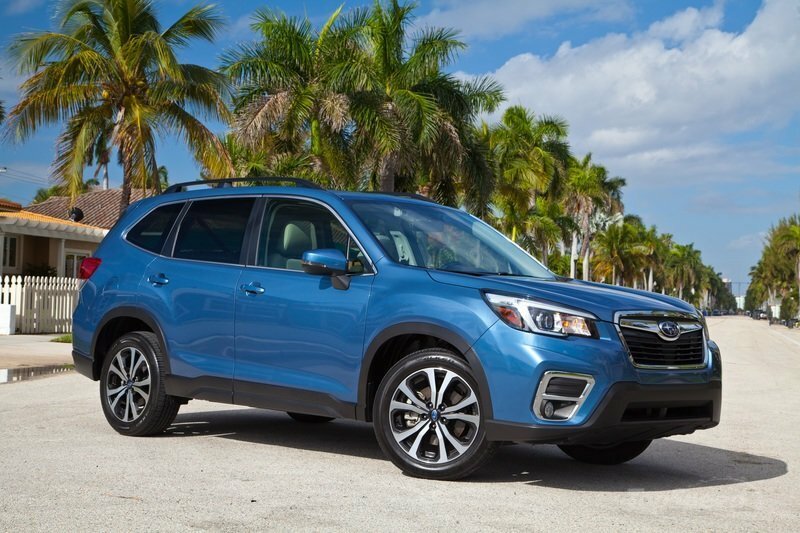 "Subaru customers have come to expect the highest level of safety in their vehicles," said Thomas J. Doll, Executive Vice President, Subaru of America, Inc. "The Subaru Forester continues to deliver the highest levels of occupant safety as evidenced by its recent five star performance in the NHTSA NCAP tests." New for 2009, all Subaru Forester models feature standard side-curtain airbags with a rollover sensor, Vehicle Dynamics Control (VDC) stability and traction control system and Brake Assist safety system. A roll-over sensor activates seatbelt pre-tensioners and the side-curtain air bags. It seems that this new Subaru Forester ad is a new prof that "men can’t pose!". But we have to admit the idea was pretty cool and considering is coming from Japan... well, enough said, no? 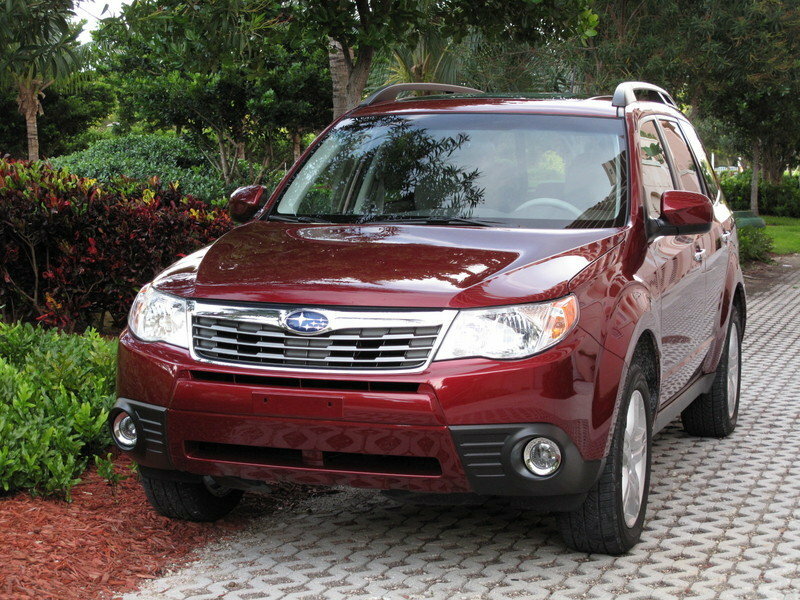 The all-new 2009 Subaru Forester has earned the Insurance Institute for Highway Safety’s, "2008 Top Safety Pick" award. To win this award, a vehicle must offer superior overall crash protection among the vehicles in their class. To qualify, a vehicle must earn the highest rating of good in the Institute’s front, side, and rear tests and be equipped with electronic stability control. "We are delighted that once again, a Subaru vehicle is recognized as a "Top Safety Pick", said Tom Doll, executive vice president and CFO for Subaru of America. "This award speaks to the quality work our engineers put into equipping our cars with industry leading safety while still making them affordable with standard all-wheel drive." 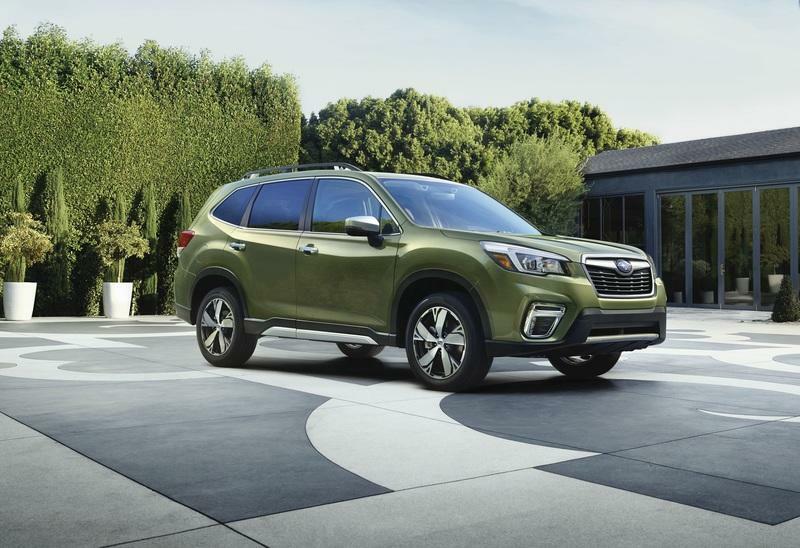 Criteria to win is tough because the award is intended to drive continued safety improvements such as top crash test ratings and the rapid addition of electronic stability control, which is standard on the Forester. 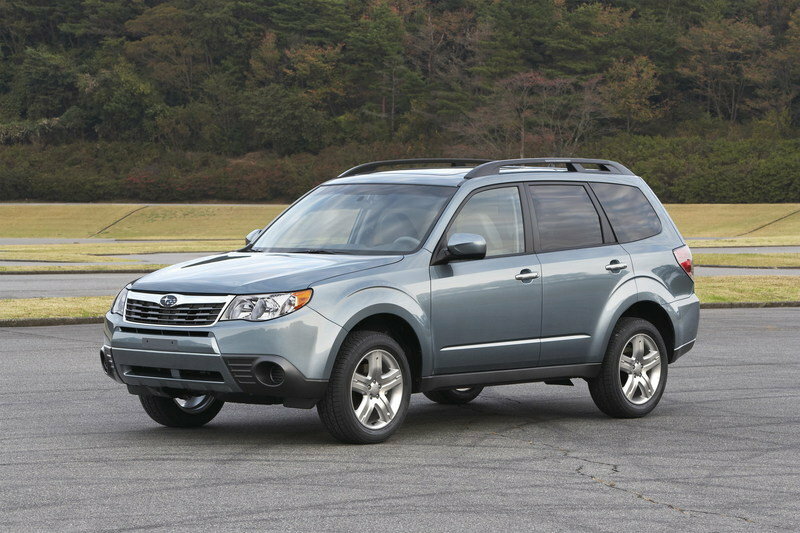 Subaru today announced the pricing for the all-new 2009 Forester that made its world debut at the Detroit Auto Show. The SUV starts from $19,995, a $1200 decrease compare with the previous model. The naturally aspirated model is available in three trim levels; X, 2.5X Premium Package and 2.5X L.L. Bean (L.L. Bean equipped with automatic transmission only). 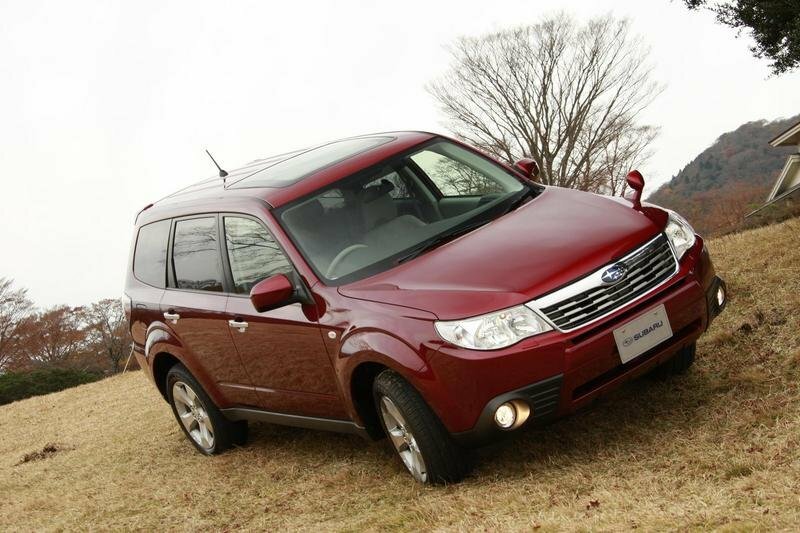 The 2.5XT turbocharged model is available in standard X trim or as a Forester 2.5XT Limited model. The 2.5X is priced of $19,995; the 2.5X with Premium Package, equipped with manual transmission, has a starting price of $22,495; the 2.5X L.L.Bean Edition with standard automatic transmission starts at $25,995 and the 2.5XT model starts at $26,195 and features a 2.5-liter, turbocharged engine that produces 224 HP. 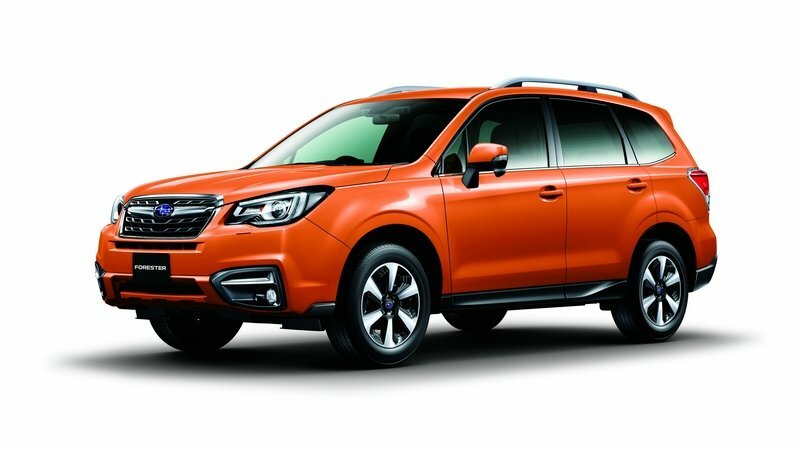 Fuji Heavy Industries Ltd. (FHI), the maker of Subaru automobiles, announced the debut of its new generation of Subaru Forester in Japan. 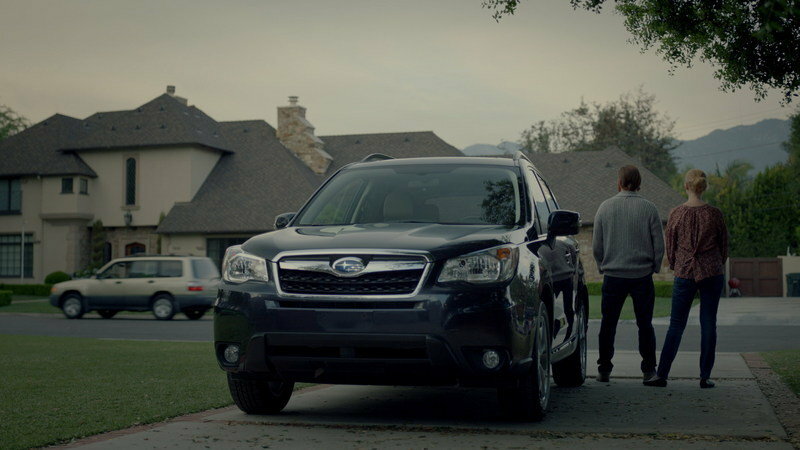 The new Forester went on sale nationwide through Subaru dealerships on Christmas. 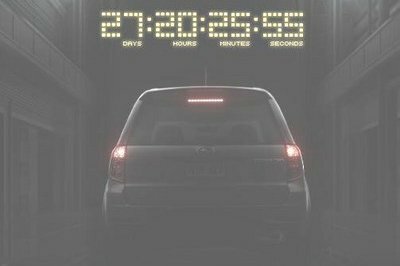 Subaru launched a teaser image of the 2009 Forester, model which, according to the Japanese page will be launched in 27 days. Also a member from NASIOC Forum published a few images scanned from a magazine. This give us a first look of how the future model will look like. 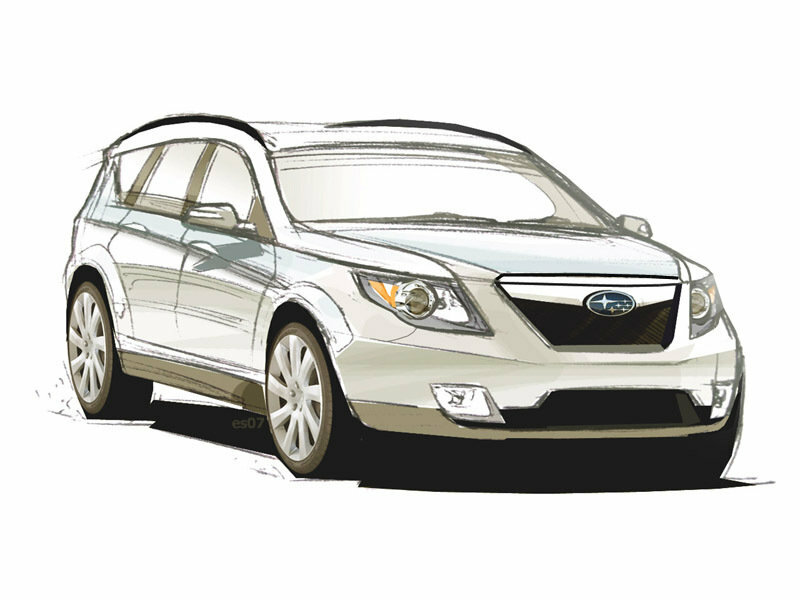 Subaru will unveil the all-new redesigned 2009 Forester next year at the Detroit Auto Show. 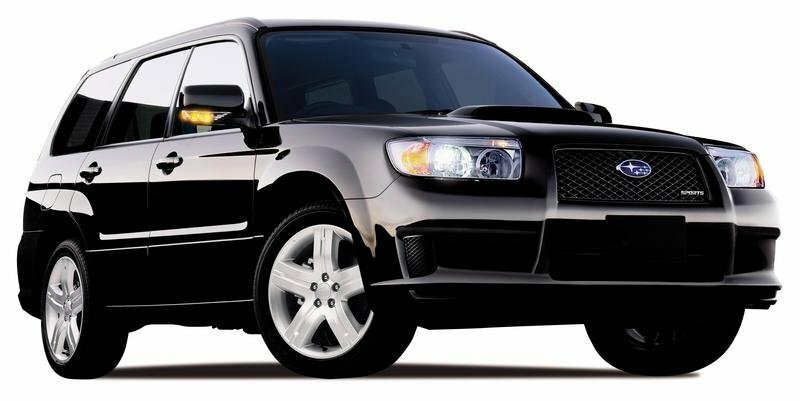 As the previous model, the 2009 Forester will be built on the Impreza platform, so it can easily compete with Toyota RAV-4 and Honda CR-V.
Have you believed that for a car that has a great top speed you have to pay millions of dollars? Well no, you are wrong! You can buy a car with a very good top speed and pay between $25000 and $30000. Since its introduction for the 1997 model year, Subaru’s somewhat oddly proportioned Forester has been a welcomed alternative to more traditional SUVs, thanks to its uncanny ability to handle the road like a car, haul cargo like a small sport/utility vehicle, and scramble through a snow drift or a sand dune with equal aplomb. Subaru of America, Inc. is showcasing two new versions of its All-Wheel Drive 2007 Forester compact SUV at the annual Specialty Equipment Market Association (SEMA) Show. 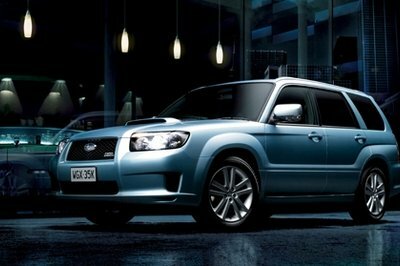 The 2007 Forester Sports models combine new, more powerful styling with exclusive interior features and enhanced standard equipment. The Forester Sports 2.5 XT adds to that the 224-horsepower intercooled turbocharged Boxer engine from the 2.5 XT Limited model. The Limited Edition Forester X Weekender comes with a load of extras, including a cargo area hard mat. It also comes with Symmetrical All-Wheel Drive and a 5-star ANCAP3 occupant safety rating, making it one of the safest compact SUV’s on the road.